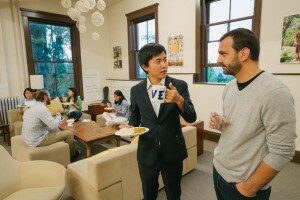 From August 20 to September 17, 2016, twenty five Japanese university students and young professionals that seek an entrepreneurial mindset traveled to Seattle, Washington to participate in an experiential leadership training program. 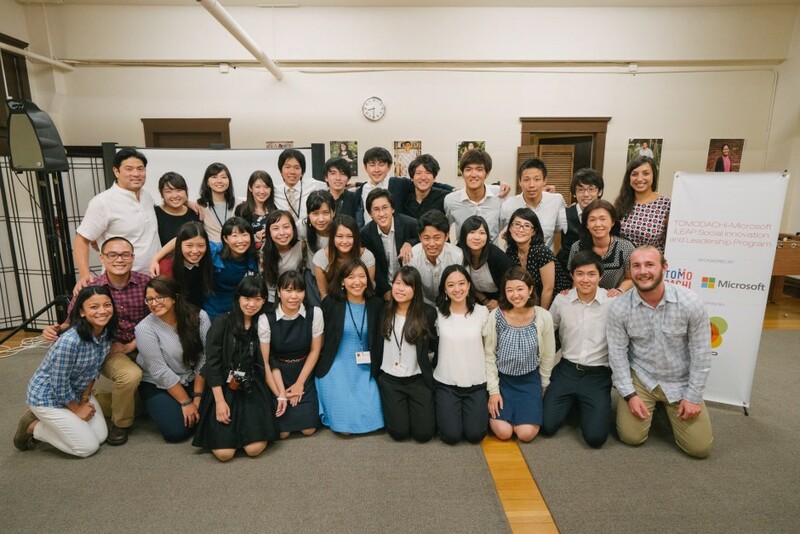 During this TOMODACHI Microsoft iLEAP Social Innovation and Leadership Program, the scholars were divided into group project teams of five members with team mentors, including employees of Microsoft. They worked in their teams and met with prominent businesses in the area and received business mentoring from recognized Japanese American leaders in the Seattle community. The program provided the scholars with the opportunity to deepen their knowledge and critical thinking skills through classes in leadership and entrepreneurship, in addition to working with technology advisers (many who were Microsoft employees) that provided advice on how technology can advance social innovation and grow their ideas. By working in teams, the scholars were able to improve upon their collaboration and cross-cultural communications skills. Furthermore, the program encouraged the scholars to personally reflect on their personal resilience, gain confidence, and overcome challenges and see difficult situations as opportunities to learn and grow. This program is made possible by the generous sponsorship by Microsoft Japan, Co. Ltd.